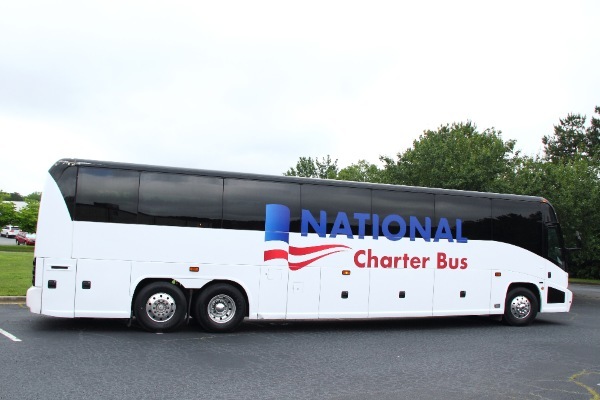 For clean, modern buses in Salt Lake City, trust National Charter Bus to get you where you need to go. We’re here all day, every day to help you book a quality charter bus and choose the right amenities for your group. Give us a call today at 801-416-0796 for your free quote! With our door-to-door motorcoach services, it’s simple to travel around Utah and surrounding destinations like Denver, Phoenix, and Las Vegas. We’ll work with your group to plan seamless transportation for church events, school field trips, weddings, business trips, and more. When you call us at 801-416-0796 with your headcount and itinerary, we’ll begin to craft a custom transportation plan for your upcoming trip. We have access to hundreds of minibuses and full-sized motorcoaches in Utah, so we will pair you with the bus that best fits your needs. You can even choose from premium amenities such as TV monitors, WiFi, restrooms, and more. 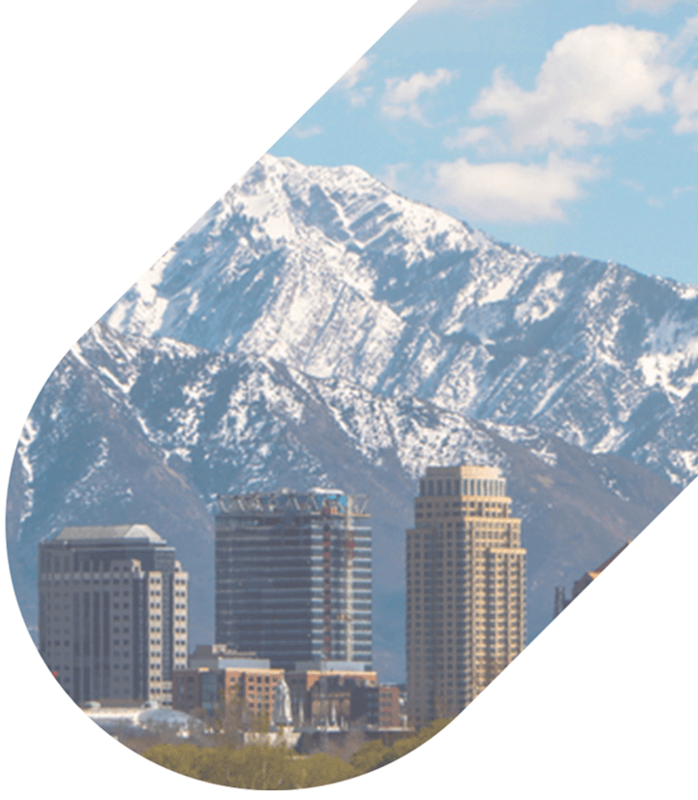 Salt Lake City is a city located in northern Utah nestled in between the great lakes and the mountains. This gateway to Utah is a vast landscape with city life that contrasts with a mother nature’s paradise in one of the most marvelous international hubs in the Western U.S. “America’s Dead Sea” harbors a surprisingly abundant selection of hiking ventures and water explorations. From outdoor gardens and parks to historic museums and churches, the Great Salt Lake is a hunting ground for locals and tourists. With our door-to-door motorcoach services, it’s simple to travel around Utah and surrounding destinations like Denver, Phoenix, and Las Vegas. We’ll work with your group to plan seamless transportation for school field trips, wedding celebrations, business trips, and sporting events. We cover all services at an affordable rate no matter the size of your group, whether you’re traveling to Salt Lake City or to Park City Utah. There are four main types of Salt Lake City buses, such as an 18-passenger minibus, 20-passenger minibus, 25-passenger minibus rental, or a 56-passenger charter bus rental. Each bus arrives outfitted with your own choice of amenities such as reclining seats, AM/FM radio, Wi-Fi, TV monitors, electrical outlets, air conditioning, and a PA system. A private rental has an advantage with customizable and adjustable amenities. Plan your dream wedding in Salt Lake City, whether you’re creating your special day at a historic house or park venue. The rolling hills of Salt Lake City create a perfect natural nook for guests to gather around your ceremony. Louland Falls is a world-class wedding destination due to its towering cliffs and winding rivers. The Ivy House is also renowned for its gardens and antebellum home decor. Planning a wedding doesn’t have to be overwhelming when planning at beautiful wedding venues like these. Salt Lake City is a historic landmark in the western part of the United States, making it an ideal travel destination for church and school field trips. Visit the Catholic Church with neo-gothic architecture by the name of the Cathedral of Madeleine or explore the mysteries of the Mormon Tabernacle. Tour the Old City Hall and Capitol Building or the Tracy Aviary and Liberty Park by bus to experience the best that the city has to offer. When watching sports from little league to professional football teams, you will want to explore the unique avenues of teams based in Utah, such as the NBA’s Utah Jazz and Major League Soccer. The city is also home to Ice hockey, rugby, soccer, football, volleyball, and more. When you call Salt Lake City Charter Bus Company at 801-416-0796 with your headcount and itinerary, we’ll begin to craft a custom transportation plan for your upcoming trip. We have access to hundreds of minibuses and full-sized motorcoaches in Utah, so we will pair you with the bus that best fits your needs. You can even choose from premium amenities such as TV monitors, WiFi, restrooms, and more.